Thank you for visiting Mistersciencefair.com and reviewing our User Agreement. 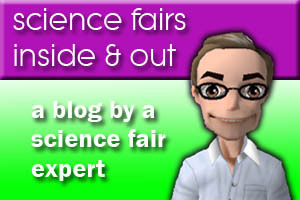 Mistersciencefair.com and its affiliate sites are accessible worldwide to anyone with Internet access. Access to and use of this Service and affiliate sites are subject to the terms and conditions of this User Agreement, copyright notice and all applicable laws and regulations, including laws and regulations governing copyright and trademark. By accessing the service and the sites, you accept, without limitation or qualification, all of the terms and conditions in this user agreement. Mrsciencefair.com and its affiliates reserve the right to change these terms and conditions at any time. The changes will appear on this page. By using the Service and the Sites, you agree in advance to accept any changes. The materials used and displayed on Mistersciencefair.com and affiliated Sites, including but not limited to text, software, photographs, graphics, illustrations and artwork, audio, video, music and sound, and names, logos, trademarks and service marks, are the property of Mrsciencefair.com or its affiliates or licensors and are protected by copyright, trademark and other laws. Any such content may be used solely for your personal, non-commercial use. You agree not to modify, reproduce, retransmit, distribute, disseminate, sell, publish, broadcast or circulate any such material without the written permission of Mrsciencefair.com or the appropriate affiliate. Written permission may be obtained at webmaster@mistersciencefair.com. Mistersciencefair.com does not represent or endorse the accuracy or reliability of any advice, opinion, statement, or other information displayed, uploaded, or distributed through Mistersciencefair.com by any user, information provider or any other person or entity. You acknowledge that any reliance upon any such opinion, advice, statement or information shall be at your sole risk. Mistersciencefair.com and all downloadable materials are distributed on an “as is” basis without warranties of any kind, either express or implied, including, without limitation, warranties of title or implied warranties of merchantability or fitness for a particular purpose. You hereby acknowledge that use of the service is at your sole risk. The use of trade, firm, or corporation names in this web site or links to other web sites is for the information and convenience of the reader. Such use does not constitute an official endorsement or approval by Mistersciencefair.com of any product or service to the exclusion of others that may be suitable. Mistersciencefair.com links to many web sites created and maintained by other public and/or private organizations. Mistersciencefair.com provides links to these sites as a service to our users. The presence of a link is not a Mistersciencefair.com endorsement of the site. When users follow a link to an outside web site, they are leaving the Mistersciencefair.com site and are subject to the User Agreements and Privacy policies of the owners/sponsors of the outside web site(s). A special note to parents: The Internet offers many opportunities for children. Your guidance and involvement are essential to help ensure that your child has a safe and rewarding experience online. Mistersciencefair.com encourages you to get involved with your children’s online usage and to be aware of the activities in which they are participating. Your efforts to instill responsible practices will help make sure your child visits age/maturity-level appropriate sites, will participate in age/maturity-level appropriate activities and have enriching online experiences. Thank you for visiting mistersciencefair.com and reviewing our Privacy Policies. Mistersciencefair.com respects your right to privacy and takes every step possible to protect your privacy at all times. When you visit the Mistersciencefair.com web site, you remain anonymous. Before we ask you for any personal information, we will tell you why we want the information and how we plan to use it. We will not provide any personal information to other companies or individuals, or post it online without informing your or without seeking your permission. Some areas of our site may require registration. We may ask you for your name, e-mail address, and other basic information. That data will always remain protected, and we will never add you to e-mail lists unless you make a specific request. We will use any information we gather only to help us understand your needs and make Mistersciencefair.com more valuable for you. You may choose whether to access pages that require registration. We will always give you the option to elect not to receive additional information from us during the registration process. If you sign up for electronic newsletters, you will find “unsubscribe” instructions readily available in every newsletter and on the Mistersciencefair.com web site. The Children’s Online Privacy Act (COPPA) governs information gathering online from or about children under the age of 13. Verifiable consent from a child’s parent or guardian is required before collecting, using or disclosing personal information from a child under the age of 13. Mistersciencefair.com collects no information about you or your child, other than that detailed in the previous section, when you visit our web site unless you choose to provide information to us. When we need to collect information about a child under 13 years old, COPPA required information and instructions will be provided by the specific web page that collects information about the child. The web page will specify exactly what the information will be used for, who will see it, and how long it will be kept. Personal information about children under 13 years of age may be needed to respond to his/her communication to us, such as to receive a poster or other giveaways, to enter a contest or to acquire information for a school project. We provide many on-line tools and services in support of Mistersciencefair.com. A child under 13 years old may inadvertently provide personal information to one of these services. If this should happen, the information about the child will be deleted immediately upon discovery. If you choose to provide us with personal information, through such methods as completing a form or sending us an email, we will use that information to respond to your message and to help us get you the information or services you have requested. Remember that email is not necessarily secure and you should never send sensitive or personal information in an email. Other information collected at our web sites through questionnaires, feedback forms, or other means, enables us to determine visitors’ interest with the goal of providing better service to our customers. You should be aware that if you voluntarily disclose personal information (e.g., user name, email address) on a Blog response form, bulletin board, chat room or on any other user generated pages, that information can be collected and used by others and may result in unsolicited messages from other parties. Mistersciencefair.com takes every step possible to protect your privacy at all times. If you provide sensitive information, we use secure servers and protocol to encrypt all information. We also enable security measures to protect personal information in storage. Mistersciencefair.com uses credit card numbers only for processing payments; we do not retain card numbers for marketing purposes. We will not provide any personal information to other companies or individuals without your permission. Some of our Web sites provide links to third-party sites. Mistersciencefair.com staff members review those sites to ensure their “safety”; however, because we do not control the Web sites, we encourage you to review the privacy policies of any third-party sites. Read our User Agreement above. We are pleased to give you permission to link to the Mistersciencefair.com site as long as your site does not violate any law, cause offense to Mistersciencefair readers or tarnish the Mistersciencefair brand. We reserve the right to withdraw this permission if it is, in our opinion, abused. This right will not be unreasonably exercised. If you would like to link to Mistersciencefair.com or reprint one of Mistersciencefair.com original articles or Blog posts, please follow the guidelines below. As with any resource, you must use a proper citation when citing Mistersciencefair.com content; in our case, that credit must indicate that Mistersciencefair.com is the source and provide the complete URL of the item you’re referencing. You may provide a direct link to original Mistersciencefair.com material on the Mistersciencefair.com Web site without requesting prior permission. If providing a link to Mistersciencefair.com you may use the Mistersciencefair.com logo, located at: http://www.mistersciencefair.com/MISTERSCIFAIRLOGO.jpg or via our logo / logo usage rights page. Some Mistersciencefair.com content is aimed at classroom teachers and/or not-for-profit community organization staff, and sometimes there is a printable worksheet of some kind for students. Classroom teachers and/or not-for-profit community organization staff are invited to print out as many copies of such materials as they need for classroom or workshop use without asking prior permission. No electronic reprint rights to whole articles are ever granted without express written permission, which can be obtained by sending such a request to webmaster@mistersciencefair.com. In your request for reprint, please provide the following information: a brief description of your company/organization, the article/piece you want to reproduce, details of the media reproduction (print newsletter, e-zine, website, etc. ), if on a website provide the URL and the estimated size of the audience, and expected date of publication.